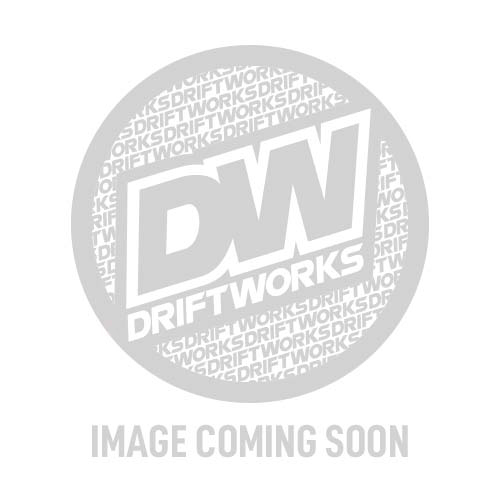 This Driftworks SuperFly conversion flywheel replaces the standard S15 dual mass flywheel and enables you to run an S14 SR20DET clutch kit with the standard S15's 6-speed gearbox. Weighs just 7.2kg. Less than half the original item. Now Includes new grade 12.9 flywheel caphead bolts. Please note: fitting this flywheel will result in some additional noise from the gearbox. This is completely normal and is to be expected when replacing a dual mass flywheel with a lightweight single mass item. Made from chromoly and manufactured to the highest standards, will take all the punishment you can throw at it. Finished in a durable heat treated black coating with impressive quality finishing. As testament to the top quality machining work, you will see only a tiny amount of metal was removed to fully balance these flywheels. Comes complete with dowel pins to locate the clutch cover plate. Great product to replace the OEM dual mass flywheel. Came with pretty much everything in the box apart from the flywheel spigot bush but it’s easy to transfer across.